Many would have strong arguments that state that Golden Globes matter very little to the Oscar race. I think, in some cases, they matter a lot. Even since their slates started showing up more clean (No More “The Tourist” incidents) the H.F.P.A. has been given us some solid selections in each category. This year there were a couple notable things that occurred. A couple notable films/shows that were left out of contention, and a couple of reasonable twists, and some unreasonable. So let’s take a look at these nominations and see what was good, what was bad, and what was just ugly. For Full Nominations scroll to the bottom. 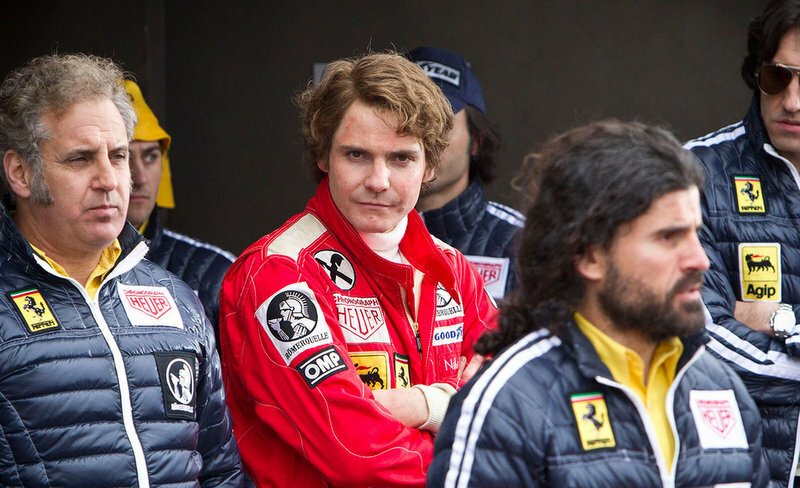 – “Rush” appears in best drama, and best supporting actor reassuring us that the critically successful (but financially unsuccessful) sports film is still in this race. – The Comedy/Musical’s are all great films. “August” or “Mitty” wasn’t able to sneak in. – “Captain Phillips” appears in multiple categories (including directing) despite many transparencies with critic awards. – Alexander Payne for director in “Nebraska.” Great choice, a director’s film. – “Lee Daniels’ The Butler” doesn’t show up anywhere. The film is Weinsteins box-office darling, but it’s not awards-great. So it now showing up reflects that the HFPA may be voting more by quality than by politics. – The Five Comedy/Musical actor nominees are the five best comedy/musical actors of 2013 critically. – No “Saving Mr. Banks” for drama, which is excusable if only they had nominated Tom Hanks for supporting actor, but they didn’t. – No James Gandolfini for “Enough Said,” some may argue he only got the SAG nod because he passed away. Maybe. But still it’s a great performance. – “Fruitvale Station” doesn’t show up anywhere. Weinstein should have rode this film to the ground with award-campaigns, but he isn’t. Who am I to question Harvey’s strategies, but it seems like he missed out this year. – Kate Winslet for Labor Day over Adele Exarchopoulous for Blue is the Warmest Color. Well there has to be a little more star-power at the ceremony after all. – No Jonah Hill for “The Wolf of Wall Street” in supporting. Doesn’t fair well for his campaign, and already lingering lack of momentum for the film in general. – No Spike Jonze or Martin Scorsese for director. I’m all for Greengrass and Payne, but the lack of Jonze and Scorsese may speak to their overall place in this race. – No “Wolf of Wall Street” for screenplay, despite several critic awards in that category. – No “Homeland.” How did that happen? Did it not qualify? – “Downton Abbey” is still here. – No Anna Gunn for “Breaking Bad” or Claire Danes for “Homeland” in supporting. Have no clue who is going to win here. – No Maggie Smith for Downton Abbey, she’s really the only good thing left in the show. – The Supporting Actress in a TV Series, Mini-Series or TV Movie category. – Dancing on the Edge shows up in an attempt to give Chiwetel Ejiofor a double nomination. – The realization that American Horror Story will always be here regardless of how good it is. – The Wind Rises in Foreign but not Animated Feature. Is it not better than Despicable Me 2? – Philomena showing up. Not bad, just ugly giving the other options. – Mandela: Long Walk to Freedom getting 3 nominations that may or may not just be sentimental nominations given the circumstance. Don’t want to point fingers, but I think it would’ve looked different if the great Nelson Mandela hadn’t passed away.